The privileged association between Rolex and golf dates back to 1967. Since then, the relationship between the two has continuously grown and prospered based on common values and the brand’s avant-garde initiative in the field of sports sponsoring. 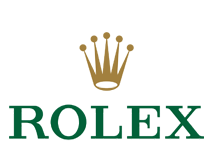 Today Rolex is associated not only with the most important and prestigious entities governing golf worldwide, but also with the principal professional tours, competitions and individuals in the world of golf. In 2011, a new partnership was formed between Tom Watson and Rolex. Recognized the world over as the leader in the Swiss watch making industry, the brand enjoys an unparalleled reputation for quality craftsmanship and timeless elegance.